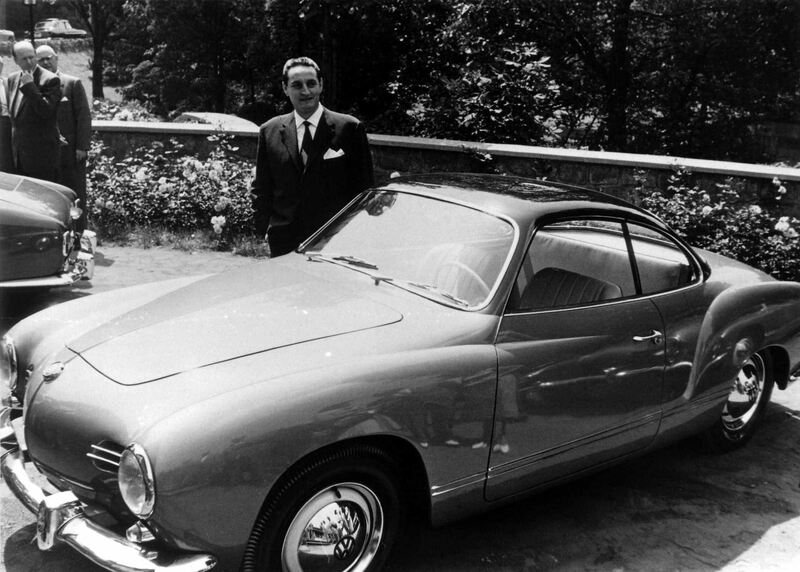 Coming to Italy in the late summer of 1958, Tjaarda was fortunate in that he was fresh from studies in college, for he had to learn Italian and pick up the techniques of designing automobiles, both as quickly as possible. 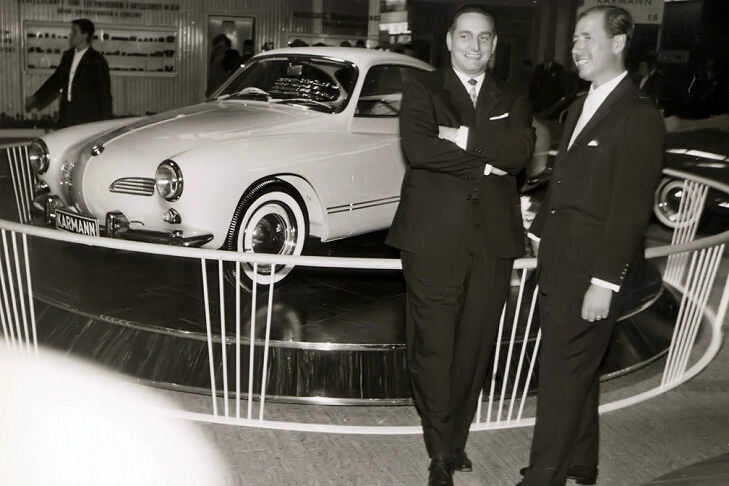 LUIGI SEGRE was a very charismatic type and had friends everywhere, especially in the States which resulted in many projects being done for Chrysler and Ford. 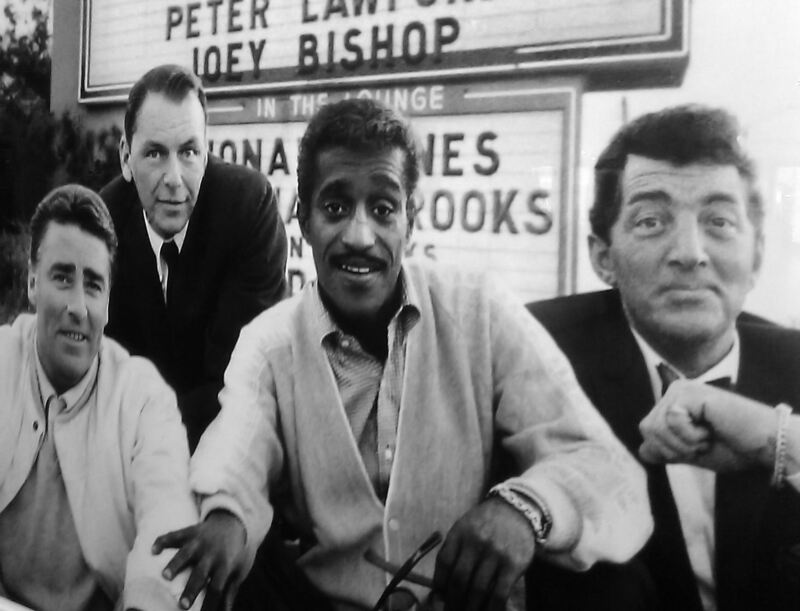 Special coupe's were built for the famous Hollywood actors Frank Sinatra, Peter Lawford, Sammy Davis Jr. and Dean Martin - known as the RATPACK. 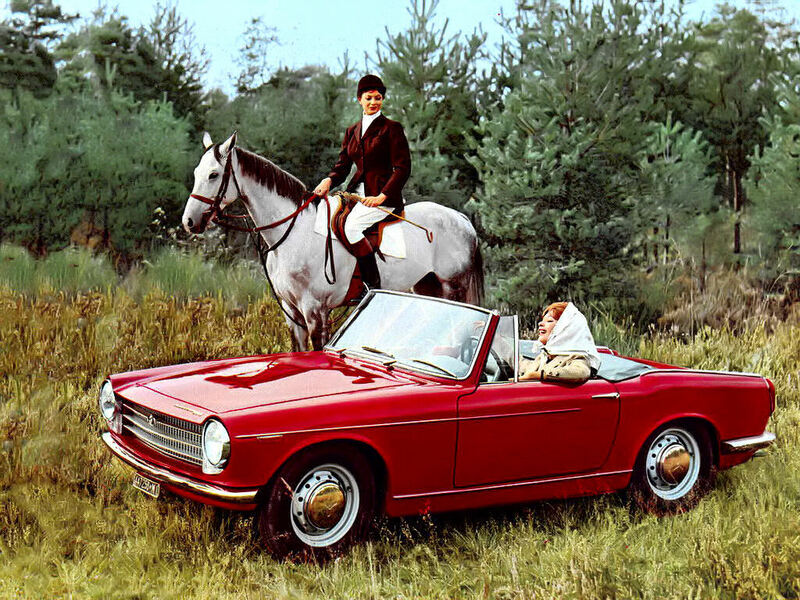 And along with the KARMANN GHIA, a delightful little coupé, really put Ghia on the map. 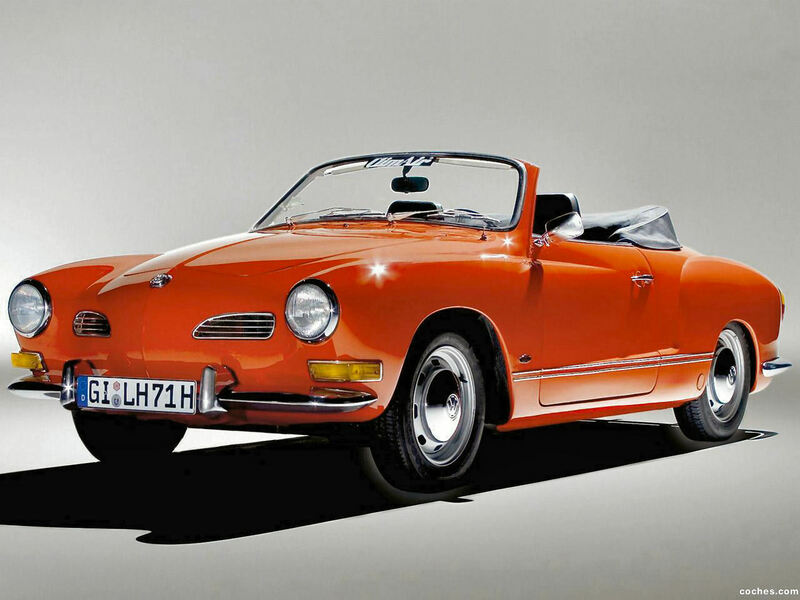 Click here for more detailed information about the Karmann-Ghia Coupé and Convertible. 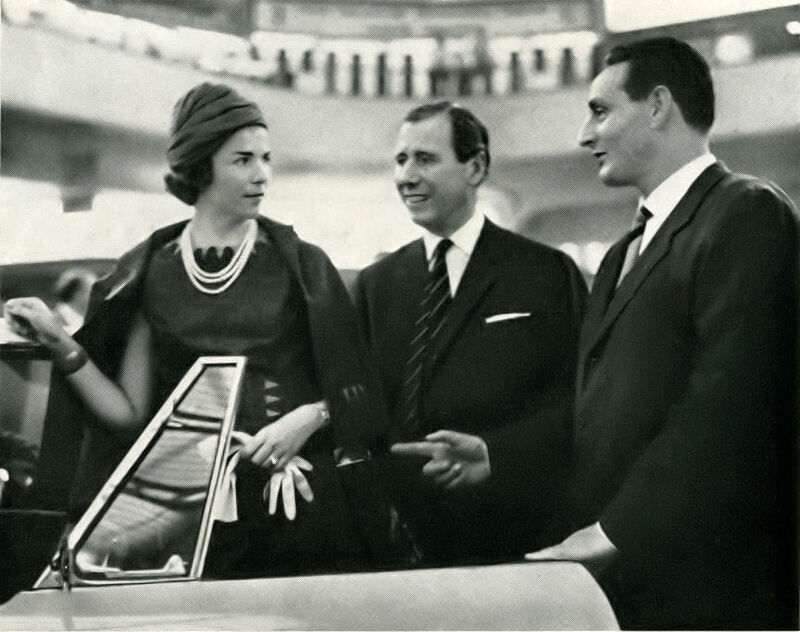 Ghia had many important clients such as KARMANN (Wilhelm Karmann right, Luigi Segre left) and HERE (Mr. and Mrs. Karmann and Ghia's Luigi Segre with the Karmann Ghia cabriolet), Renault, Chrysler, Fiat and even a company from Poland, called Polinez. 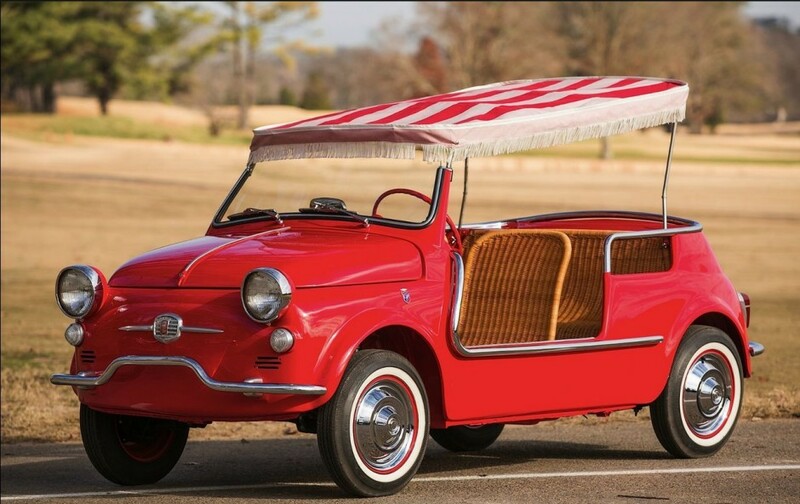 They also made limited numbers of the FIAT 500 JOLLY BEACH CAR. 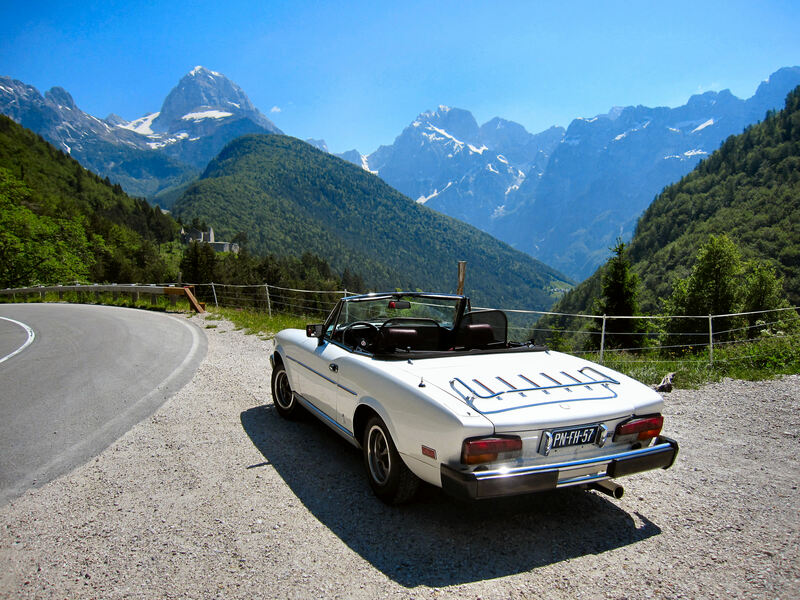 The first car Tjaarda designed was the INNOCENTI 950 SPYDER, which was then put into production from 1960 until 1965. 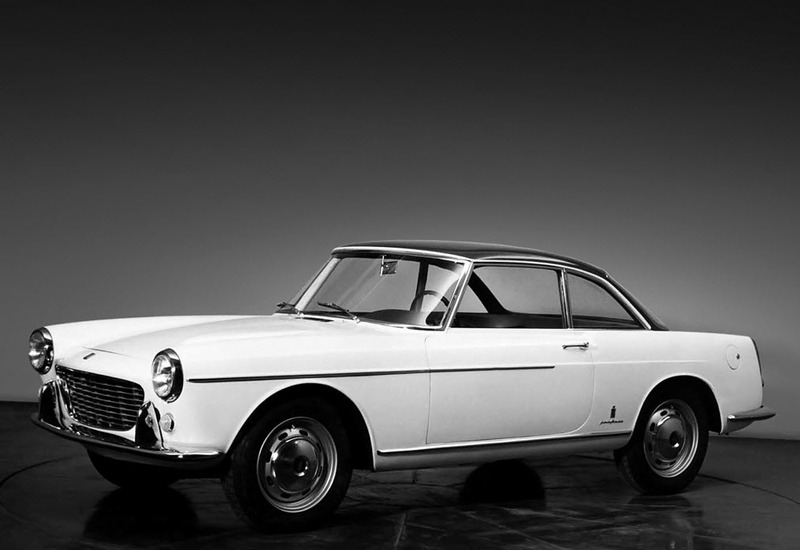 Next was a show car called the 1959 GHIA SELENE which was shown in the Torino Auto Show in 1959. This prototype had a unique seating arrangement of two people in front of the front wheels and four passengers - facing each other - between the wheel base, and the engine in the rear. Not the best arrangement for stability, this vehicle nonetheless found interest from Russia, which was then used as a concept to design taxis for Moscow !! Anther show car designed by Tjaarda was the IXG DRAGSTER. 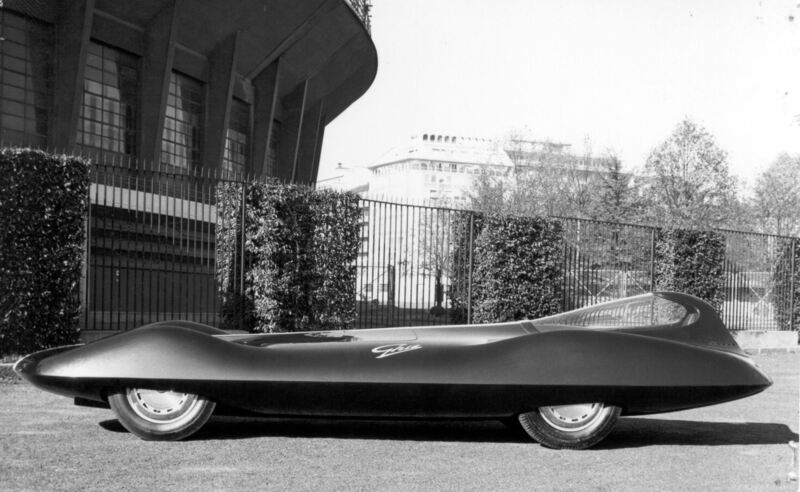 This concept was shown in the 1960 Torino Auto Show and the one-seater lays claim to being the first vehicle to make use of under-body aerodynamic design meant to reduce wind drag and improve performance. 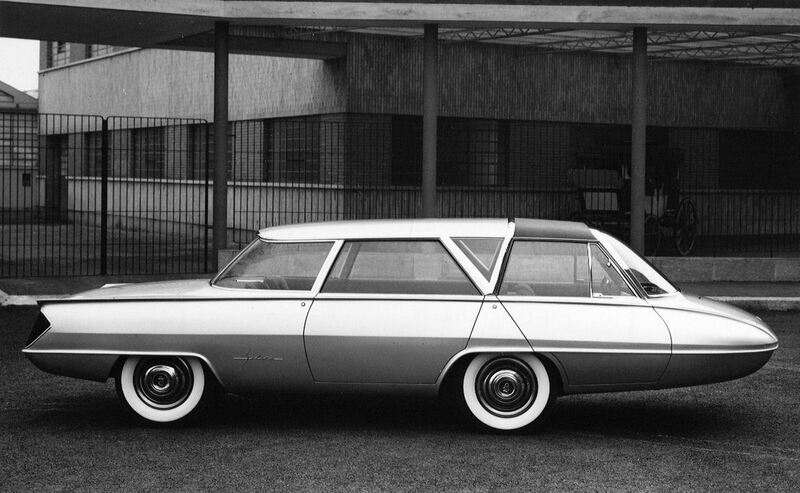 It was recently sold to a collector when Ford auctioned off a good part of their prototype car collection. 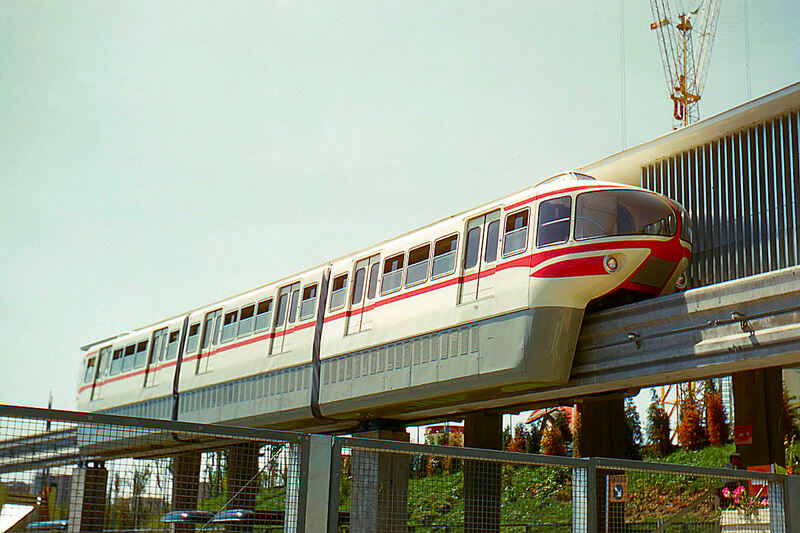 ALWEG MONORAIL for the Turin International Fair in 1961.